Cold hardiness values have been updated with values from January 27, 2014. The following table shows critical injury temperatures for cherry buds for Prosser (Roza). LT10 is the temperature at which 10% of the primary buds will be killed; LT50 and LT90 refer to 50% and 90% bud damage, respectively. 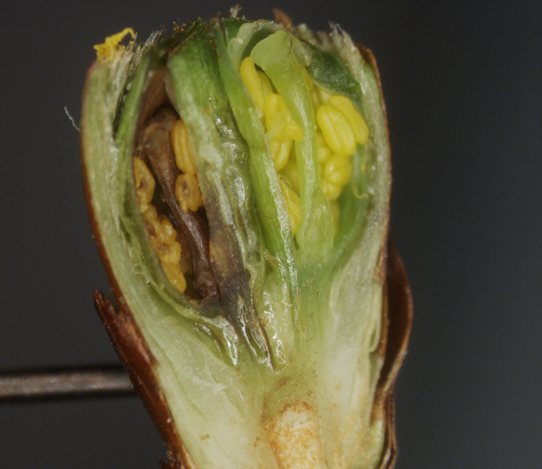 From dormancy to fruit set, the flower bud undergoes a number of developmental stages that are associated with a progressive increasing vulnerability to low temperatures. Freeze tolerance was analyzed using differential thermal analysis, this technique is only effective for cherries at early stages of bud development.